Peter Paul Rubens, engraving, 1638. From the collection of the U.S. National Library of Medicine, Bethesda, MD. Hippocrate, Sur le rire et la folie. ; Michel Foucault, Madness and Civilization: A History of Insanity in the Age of Reason. Hippocrates is currently considered a "single author." If one or more works are by a distinct, homonymous authors, go ahead and split the author. 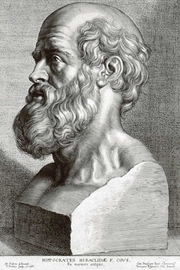 Hippocrates is composed of 13 names. You can examine and separate out names.